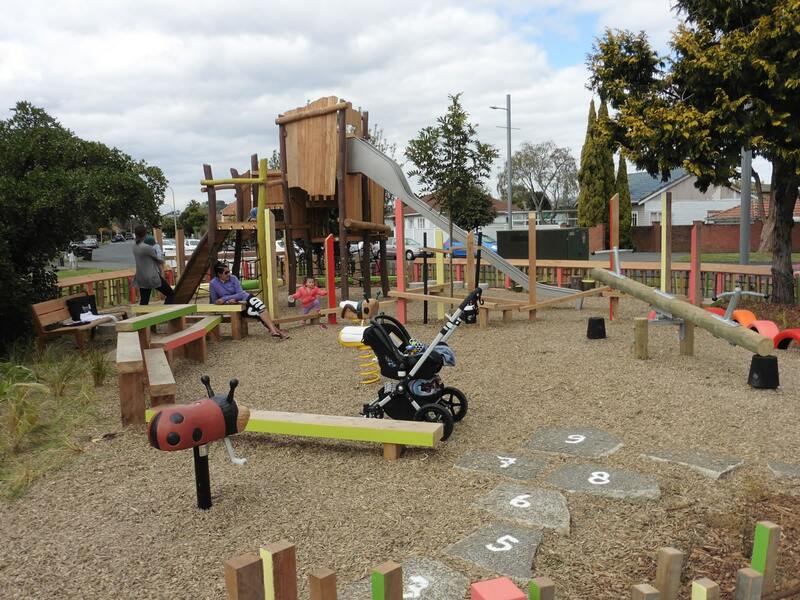 Auckland Council’s Albert–Eden Local Board asked the Playground Centre to transform the play space at Sandringham Reserve. The reserve is located off the main shopping strip in Sandringham, a bustling suburb known for its mouth-watering South Asian food and beautiful Art Deco architecture. 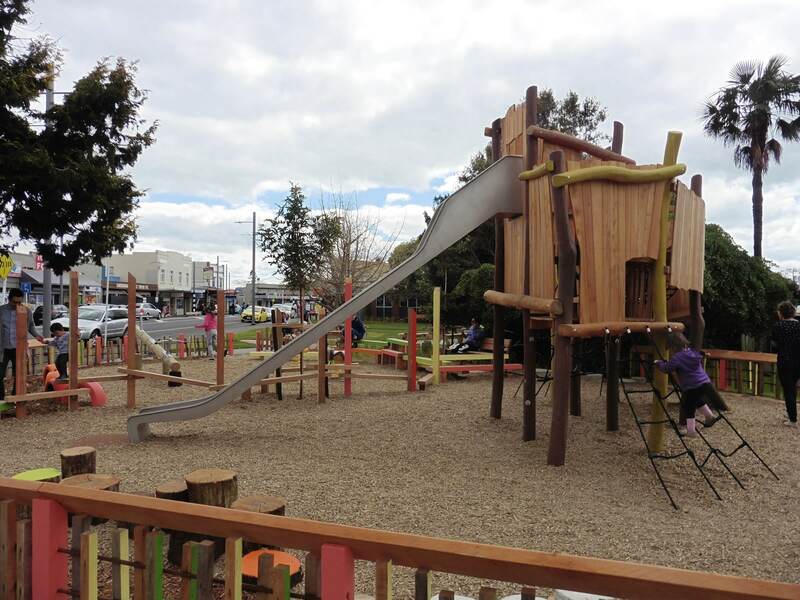 As part of a complete park makeover, Council wanted a new playground with a striking visual theme and a variety of play experiences to entertain Sandringham’s diverse population of children. 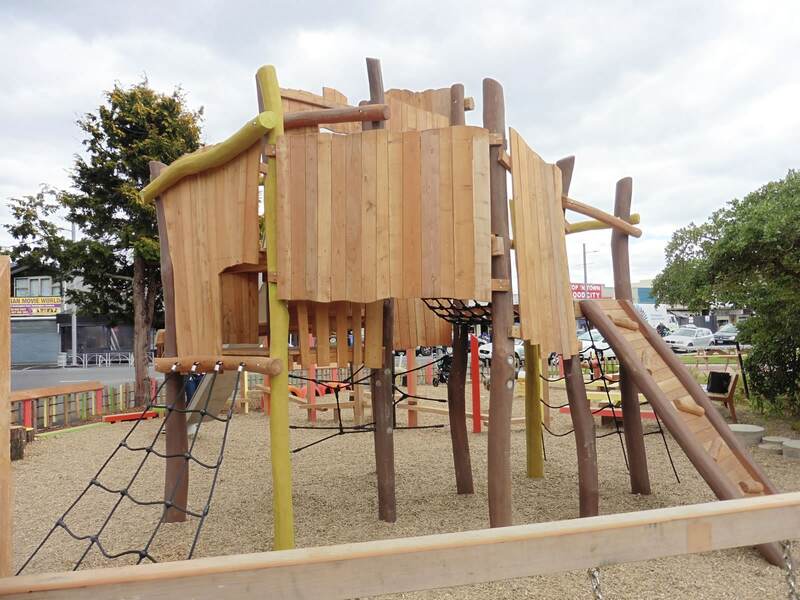 The centrepiece of the new playground is a ‘Wobbly Wood’ play module. Made from sturdy robinia timber, this quirky fort is designed to feel like a tree house, with rope nets, ladders and a fantastic slide complementing the natural woods. 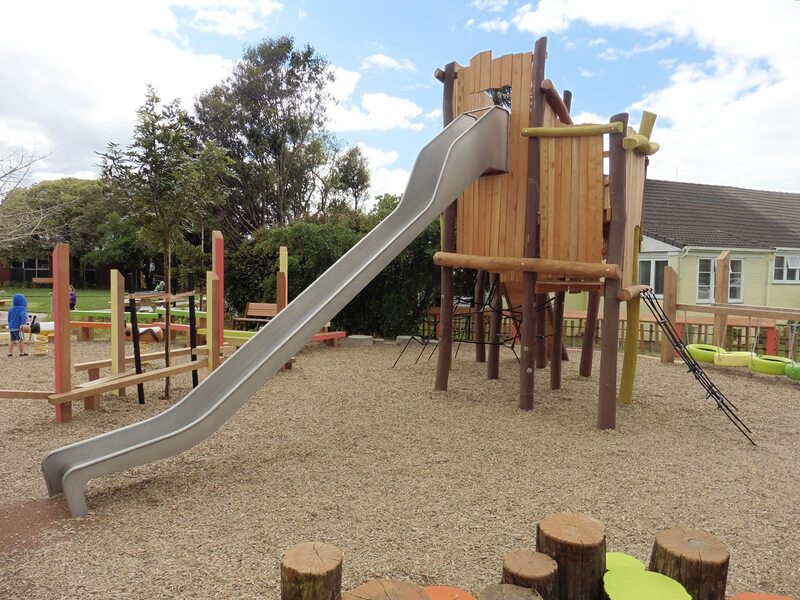 Sandringham children can also enjoy a timber seesaw, colourful balance beams, a hopscotch game made from rustic rock pavers and rideable wooden insects that include a spring-loaded bee and grasshopper. 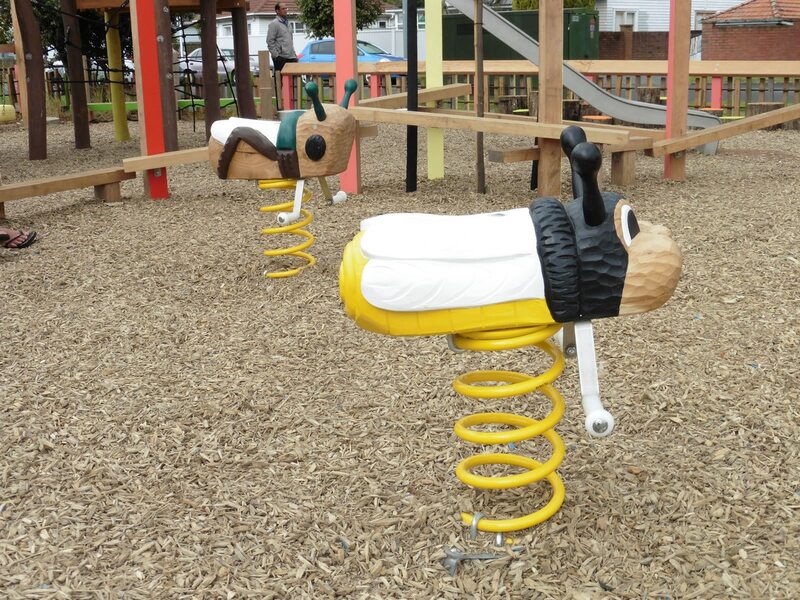 Whimsically painted fencing and plenty of comfy seating for adults add the finishing touches to this fun-packed play area. 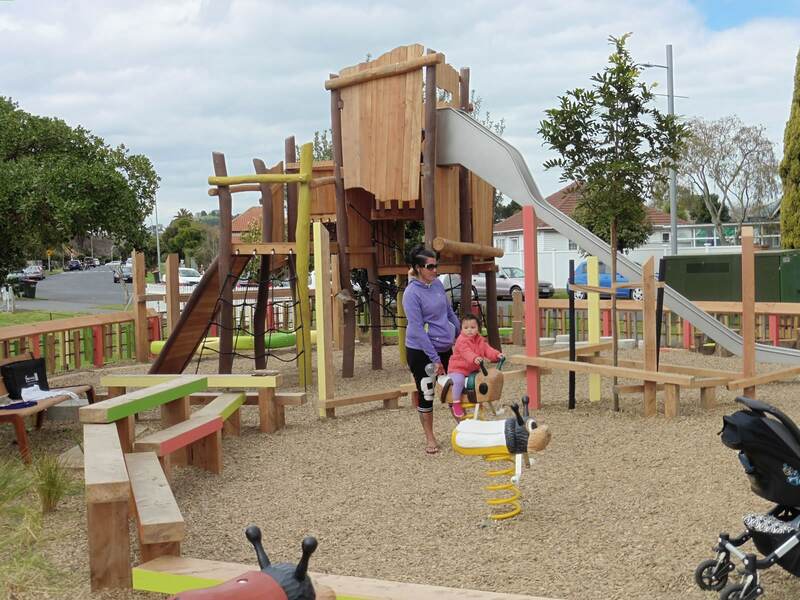 Along with revamped facilities and a stunning Indian-inspired mosaic, this unique playground has turned Sandringham Reserve into a thriving community recreation space.